The SEO industry has changed a lot over the past few years. What used to be a best practice in 2011 may have become a black hat strategy in 2014. In 2015, expect a lot more changes, upgrades, and policies to roll out in terms of search rankings and website optimisation. 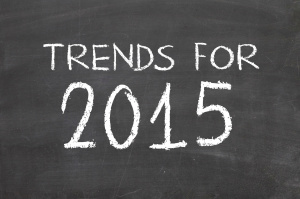 Below are some of my top predictions on SEO trends for 2015. In the previous years, content marketing was not given as much attention as blogging or article marketing. This year, however, content marketing will be a powerful SEO technique and the primary influencer of search visibility. Websites that aim to use SEO strategies without a strong content plan in place will eventually fail and will need to shift their focus in creating high-quality content. More and more people are using their tablets and mobile phones to make online search queries, and you can expect this trend to continue as long as smarter mobile gadgets are being manufactured and internet connectivity becomes more readily available. To take advantage of this, website owners should optimise their websites and content to become not only visible, but accessible to various forms of media. Over the past years, plenty of speculations about whether search engines are using social signals and activities in their ranking algorithm have arisen. Studies show strong correlations between social signals and rankings, but these assumptions are yet to be confirmed by Google and other search engines. This year, social signals will continue to become stronger and web users will continue to undertake social activities which can affect – directly or indirectly – search rankings and visibility of websites. Let us wait until Google finally announces that social signals are “officially” a significant factor in its ranking algorithm. For businesses who wish to maintain a clean, decent name on the internet, they should start managing their online reputation as negative SEO will become bigger than ever. With more and more customers, clients, and business partners using the search engine in doing background checks and investigations, it would help if your business is free from any negative SEO on the web. Traditionally, SEO has always been established as an isolated department in many small businesses and huge companies. However, as SEO, social media and content marketing all converge to achieve the same goals, the three will need to be fully integrated in order to succeed. What SEO trends do you predict for the coming year?